Some of the greatest managers the game had to offer in the 20th century hailed from Scotland. Liverpool enjoyed a meteoric rise under the incomparable Bill Shankly, while the figure of Jock Stein is held as the bastion of greatness at Celtic Park some 50 years after winning the European Cup. The shadow of Sir Alex Ferguson is one that his successors have been unable to step out of, six years after he bid farewell to the game at an emotional Old Trafford. 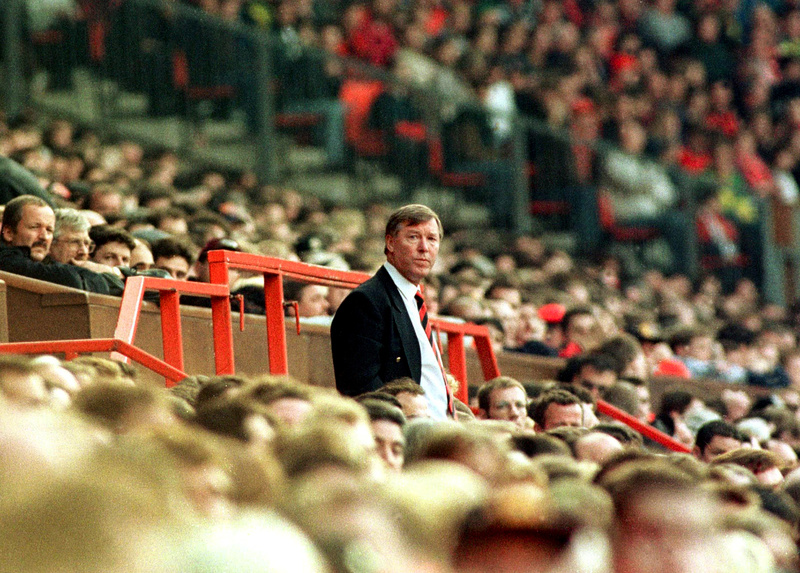 Ferguson had felt a similar shadow to the one he would go on to cast hanging over him when he arrived, Matt Busby being the last manager to bring a league title and European Cup to the red side of Manchester. Few have felt the eager Ferguson had any chance of replacing Busby as the club’s greatest manager when the 45-year-old arrived following his stint as Scotland boss at the 1986 World Cup in Mexico. Ferguson stepped into the huge void left by Stein’s untimely death at the end of the vital World Cup qualifier with Wales the year before. Ferguson made his name in Scotland, leading Aberdeen to success beyond their wildest dreams. 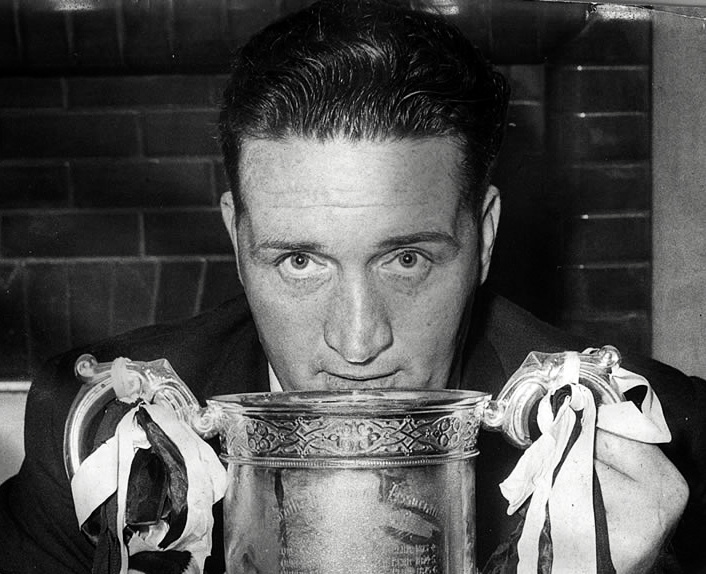 Three league titles and a Cup Winners’ Cup were captured along with a myriad of other trophies during his eight-year reign at Pittodrie. When the opportunity to prove himself south of the border arrived, Ferguson jumped at the chance. Riding the storm of his initial period with Manchester United, he, along with some of the finest youth players the club has ever produced, secured his first trophy in 1990 and kick-started an era of unprecedented success. Despite Ferguson’s glories, that Busby rebuilt United and led them to European Cup glory in 1968, a decade after the Munich Air Disaster, stands alone as one of football’s greatest achievements. The following decade gave rise to two new challengers for the Scottish football throne. 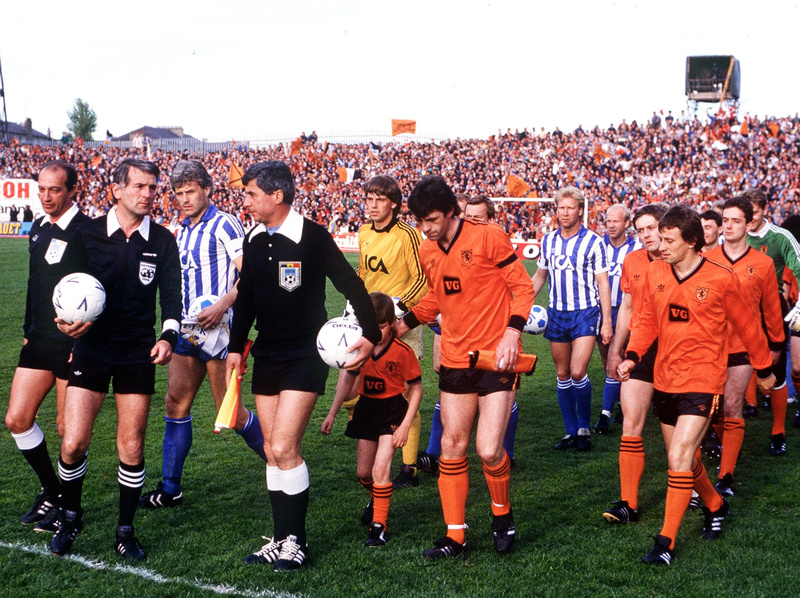 By the late 1970s, Aberdeen and Dundee United were proclaimed as the “New Firm”, a direct threat to the Glasgow giants who had ridden roughshod over the game in Scotland for years. The two men who guided these teams to the most successful eras in their history were from similar stock. Ferguson was an apprentice on the Govan shipyards, while Jim McLean hailed from mining stock in Lanarkshire. While Ferguson cashed in on his success with Aberdeen by replacing Ron Atkinson at Old Trafford, McLean stayed in Scotland and exerted his burgeoning influence on Dundee United. McLean replaced Jerry Kerr in 1971 and set about stamping his own mark on the tangerine half of Dundee, a mean feat given Kerr’s long-standing employment with the club. The 34-year-old had served on the staff at Dens Park, home of rivals Dundee, yet the ambitious young coach jumped at the chance of increased responsibility and an opportunity to fully implement his philosophy at the top-flight outfit. McLean grew up in Lanarkshire with a strict religious upbringing that he took with him into adulthood. He joined Hamilton Academical from Larkhall Thistle in 1956 before spending the next 14 years at Clyde, Dundee and Kilmarnock, only turning full-time at the age of 27. His playing career came to an early end and he opted to stay in the game by joining the coaching staff at Dens Park. It wasn’t long before their neighbours saw an opportunity to replicate the success they had enjoyed under Kerr, a two-legged victory over Barcelona a particular highlight. Not one to suffer fools, McLean gained respect but little affection from his charges during his time at Tannadice. Overseeing the minutiae of the club, he became renowned for tying his players down to long contracts on modest wages, with performance bonuses making up the bulk of their income. Never one to rest on his laurels, McLean incurred the wrath of his players following a 7-0 victory by withholding their bonus after complaining they hadn’t been entertaining enough. The man known by the players as ‘Wee Jim’ gained their respect by pushing them to the limit in a quest for success. Not only did he set high standards for his players, he also adhered to them himself. A devout non-drinker, McLean refused to celebrate a victory, declaring that if he couldn’t go out after a defeat he wouldn’t after a win, much to the dismay of Mrs McLean. Instead, he would spend hours talking on the phone with his chairman, both discussing the club’s next game. McLean’s success didn’t happen overnight yet by the late 1970s he finally began to see the fruits of his labour, the Terrors winning their first honour by defeating Aberdeen in the League Cup final. This success was repeated the following season thanks to a 3-0 thumping of neighbours Dundee at Dens Park, McLean disciple Paul Sturrock scoring a brace. The man known by fans and teammates as “Luggy” was given a new lease of life under McLean. Adapted from a rangy wide player to a complete forward, he would spend his entire 15-year playing career at Tannadice. A defeat to Rangers in the 1982 League Cup final prevented United from achieving three successive cup wins, yet by 1983 they were finally geared up and ready to challenge for the title. Despite what looked like a 4-4-2 formation on paper, McLean utilised Sturrock in a deeper role behind Davie Dodds in what was for its time an advanced 4-5-1 or 4-2-3-1. McLean helped develop Dundee into a modern-day club built on hard work. Many of the squad found themselves doing odd jobs around the stadium, including cleaning the toilets, all at the behest of McLean. Training consisted of running and plenty of it. McLean paired this primitive approach with the use of psychologists and dieticians, priding himself on the fitness levels of his side. The arrival of Eamonn Bannon in 1979 provided the Terrors with a right-sided wide threat opposite Ralph Milne, a precocious yet troubled product of the youth team who often enraged McLean off the pitch. A heavy drinker, he was often visited by the police following domestic disputes with his girlfriend. Such incidents cost Milne a place in Scotland’s World Cup squad at Mexico 86, some suggested at McLean’s insistence. The title race of 1983 was one for the ages, with Celtic, Aberdeen and Dundee United all challenging for top spot throughout the season. McLean had a core of 14 players he relied on, ten of whom had been indoctrinated in the club’s youth teams. A 2-0 defeat to Celtic in April looked to have cost United any chance of winning their maiden league title. This loss, however, kick-started their season, and a 3-2 win at Parkhead two weeks later brought them straight back into contention, despite having centre-half Richard Gough sent off. The following week results had gone United’s way, Aberdeen and Celtic both slipping up to leave the Tangerines in pole position. After the backs-to-the-wall win over Celtic, United suffered another scare when goalkeeper Hamish McAlpine took a stud to the leg and had to come off injured. With no substitute goalkeeper on the bench, McAlpine struggled on, only making way when his team were 3-0 ahead. Captain and defender Paul Hegarty donned the gloves for the remainder of the game, ensured the clean sheet, and took the Terrors to the top of the league with their third consecutive 4-0 win. As the season approached its finale, all three teams had a chance of winning the title. United were top but just one point separated the three sides. Aberdeen, fresh from beating Real Madrid in the Cup Winners’ Cup final in Gothenburg only three days earlier, hosted Hibernian, while Celtic faced a visit to Rangers. United made the short trip to Dens Park where their neighbours hoped to play the role of party pooper. With their rivals already comfortably ahead, nerves were beginning to set in at Dens Park. A first-half penalty looked to relieve any tension, but Bannon saw his effort saved, only to follow up and score the rebound. The lead didn’t last long, however, with future United hero Iain Ferguson equalising for the Dark Blues shortly before half time. The players trudged in at the break, knowing the season’s endeavours were at risk of coming to nought. Expecting McLean’s fury to explode, the players were shocked at his calmness. Bannon was the usual object of his manager’s ire yet for once he kept his counsel, confident in his side’s ability to get the result needed during the second period. It would be Milne who seized the initiative, a day after his 22nd birthday. Sturrock received the ball in a churned-up centre circle, twisting and turning before laying it off to Milne as he lost his balance. He skipped past a challenge as he slowly gathered his stride. Before goalkeeper Stewart McKimmie could set himself, the young winger glanced up and chipped an exquisite 25-yard effort up and into the goal. This was United’s 24th win of the season and their first title. Fans descended on the pitch as McLean allowed himself a small punch of the air before saluting the fans. His superstitious nature meant no championship party was organised, the players having to play a pre-arranged testimonial the very next day. McLean opted to pick the same side, many of them still bleary-eyed from their own celebrations the night before. Another first was qualification for the European Cup. United and McLean would now get to test their mettle against some of the very best sides football had to offer. Their European adventure began in inauspicious circumstances thanks to a comfortable 6-0 aggregate win over Hamrun Spartans of Malta, before a second-round tie with Standard Liège. A goalless draw in Belgium gave United the advantage as they took the second leg to Tannadice. Belgian football had provided plenty of attacking flair throughout the 1980s yet their champions had no answer for McLean’s side. Milne scored a brace while goals from Hegarty and Dodds rounded off an emphatic 4-0 win. The Tangerines recovered from being a goal behind to Rapid Wien in the quarter-finals to set up a last-four match-up with Roma, the Italians due to host the final at their Stadio Olimpico home. The Giallorossi were under huge pressure to make the final on home turf, boasting Brazilian heroes Roberto Falcão and Toninho Cerezo in their ranks. The prospect of facing such luminaries held no fear for McLean who masterminded a 2-0 first leg victory at Tannadice, a Derek Stark rocket giving the Terrors a welcome cushion, much to the amazement of the watching Italian media. Ahead of the return leg, the Italian press asked McLean whether his players had taken performance-enhancing drugs prior to the first game due to their extraordinary energy levels. McLean, unwilling to give away the secrets of his punishing training schedule, quipped that if they had, he sure hoped they would again for the game in Rome. The media misconstrued this as a confession of guilt and now the knives were out for Dundee United and their manager. The mind games had begun and Roma manager Nils Liedholm stoked the flames by claiming McLean had verbally abused star man Bruno Conti. The second leg had an afternoon kick-off as the Italians hoped to use the heat to their advantage. Roma’s ultras also had a huge part to play. The night before the game they set up camp outside the Dundee United hotel, blaring car horns and aggravating security dogs all in the name of disrupting the visitors’ pre-match sleep. Domestically, United secured their biggest win of the season with a 7-0 victory over St. Johnstone but the title looked to be heading to the other side of the New Firm. The Dons would finish seven points clear of runners up Celtic and a clear ten ahead of the third-placed Terrors, meaning their only chance of playing in the European Cup again would be by winning the trophy. The atmosphere at the Olimpico was vitriolic as kick-off approached. Whether the United players were intimidated by this wasn’t up for debate, but it certainly put the Scots on the back foot, Malpas booked after only three minutes. A first-half brace from Roberto Pruzzo rocked the Terrors, and when captain Agostino Di Bartolomei slotted a third home from the penalty spot just before the hour mark to seal the comeback, Roma’s class appeared to have vanquished the stoic determination of their opponents. At the full-time whistle, the stadium security was nowhere to be seen as abuse rained down on the visitors from not only the stands but also the pitch. McLean’s assistant Walter Smith and reserve goalkeeper John Gardiner were both attacked as they returned to the changing rooms. McLean himself kept his composure under tremendous provocation from Roma players Ubaldo Righetti and Sebastiano Nela. Years earlier, Brian Clough had spoken out against the standard of officiating on the Peninsula – or to be precise, the “cheating bastards”. The United players didn’t feel anything untoward happened at the time yet there was enough doubt for the Scottish FA to open a probe into proceedings from that afternoon in Rome. Whilst the Giallorossi lost on penalties to Liverpool, the whispers of dark arts preventing an all-British final refused to go away. Years later any doubts were answered when Roma director Riccardo Viola confirmed that French referee Michel Vautrot was offered £50,000 to influence his decisions. Whether he received the money or not remains unknown. Ferguson took the first step of breaking up the New Firm by departing Pittodrie for Old Trafford, as the 1986 appointment of Graeme Souness as Rangers player-manager kick-started a revolution in the west end of Glasgow. McLean had received numerous offers to leave Tannadice over the years and when Rangers came calling ,he finally looked like relenting. However, he stood firm and continued his stewardship with United. 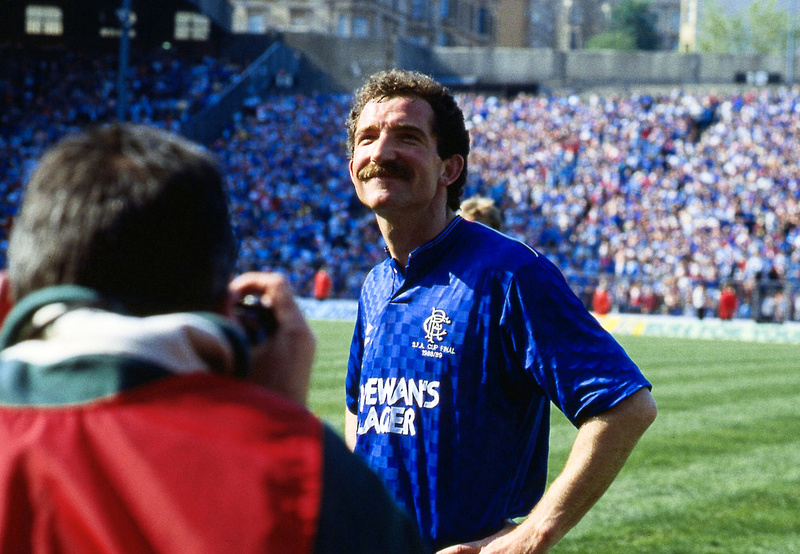 His assistant, Walter Smith, left to become the deputy to Souness, yet McLean’s grip on the Terrors was unrelenting. Dodds, Gough and McAlpine all departed Tannadice, yet the green shoots of youth continued to thrive, Kevin Gallacher the latest off the production line. His wonder goal against Barcelona in the first two minutes of the UEFA Cup quarter-final set up an incredible 3-1 aggregate win over the Spanish giants, McLean masterminding the same result as his predecessor Kerr all those years before in the Inter-Cities Fairs Cup. The run to the 1987 UEFA Cup final trumped the successes of three years earlier, the Terrors disposing of Barcelona and Borussia Mönchengladbach before the strain of a 67-game season took its toll. United’s season ended in heartbreak, losing two finals in three days. As a new era of footballer emerged during the 1990s, McLean found that his approach was no longer working. His frustrations with the likes of Duncan Ferguson confirmed the doubts that he was unable to get the same out of this new breed of player. He became managing director and club chairman in 1988 but still retained control of the team. However, following a resounding 4-0 defeat to Hearts, McLean took umbrage with a reporter’s questioning and lashed out. He moved into a full-time director’s role in 1993 and finally ended his tenure in 2000 after 29 years at the club. Ferguson built a legacy at Old Trafford, yet McLean never took the plunge by leaving Tannadice despite 14 offers from various clubs. He put this down to the standard of living he enjoyed with his family in Dundee, having spent the best part of three decades at the club. Turning down fortunes to manage elsewhere McLean supplemented his income through property developing. Links to Rangers and Newcastle were confirmed yet one position that was never offered to him over the years was that of Scotland manager. McLean often remarked that this was down to the Scottish FA not wanting to miss out on the fines his behaviour on the touchline usually resulted in. The response from the Tannadice faithful after their exhausted heroes succumbed in the UEFA Cup final second leg to IFK Gothenburg in 1987 saw the inaugural Fair Play Award head to Dundee, the prize money used to erect a stand at Tannadice in his name. 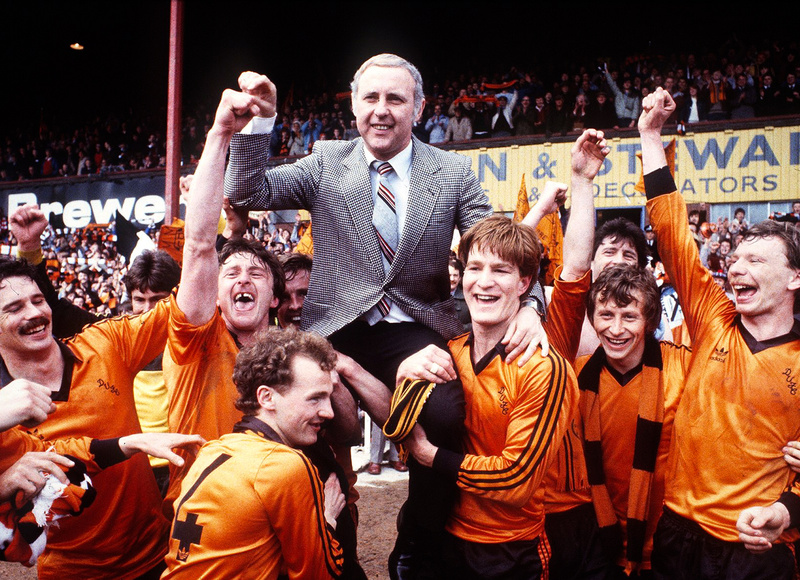 United currently ply their trade in the second tier following years of financial strain hitting all levels of the game in Scotland, providing fans with the realisation of what their club achieved during the Jim McLean era. He may be less heralded than some of Scottish football’s more illustrious names but McLean deserves his seat at management’s top table.